It’s Easter holiday, but we are very busy. We have to move, so I have to pack. My husband is also very busy on setting up his new studio, so I would like to cook something very simple and light for our last Easter night. Tonight I would like to cook salmon, it’s very healthy and rich in omega-3 fatty acid and vitamin B and D. I also got some asparagus to go with it, it is going to be a very simple and easy to manage dinner cooking. To heat up the oven to 210C, season the salmon with salt and black pepper. Place a batch of dill and rosemary underneath the salmon, and then place sliced of lemon on top of the salmon and top it with another batch of dill and rosemary. I did not put any oil, as salmon itself got some oil, and it’s totally fine to bake them without adding oil. Close it up with foil and place it in the oven and bake for 20 minutes, that’s it! 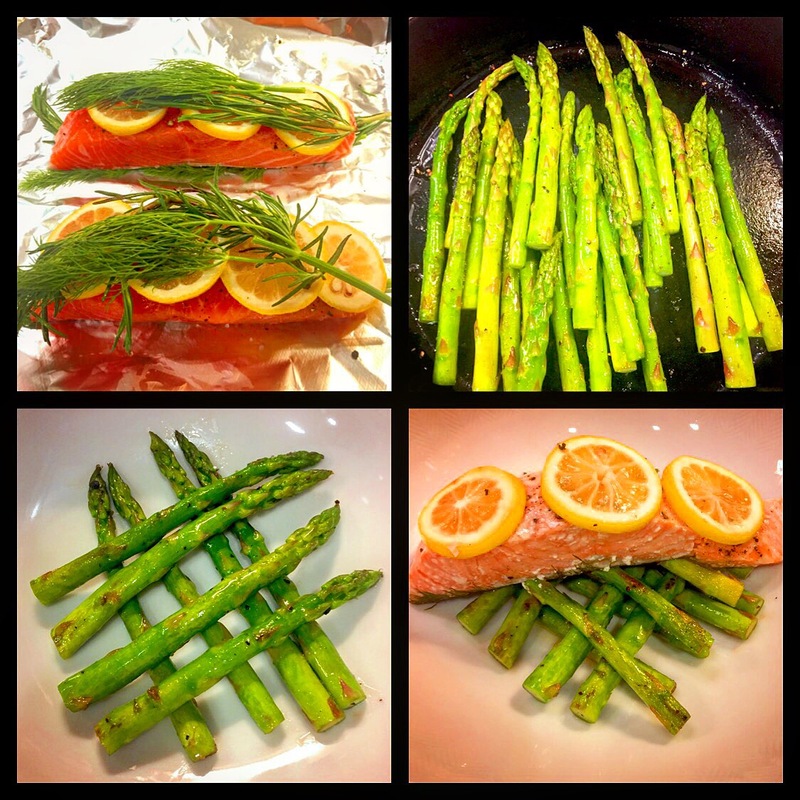 When the salmon is almost done, start to cook the asparagus. Heat up the pan with a bit of butter, then pan fry the asparagus and season them with salt and black pepper. Serve the salmon with the asparagus, you can remove all the dill and rosemary, but keep the lemon on the salmon for decoration. Nice and light!